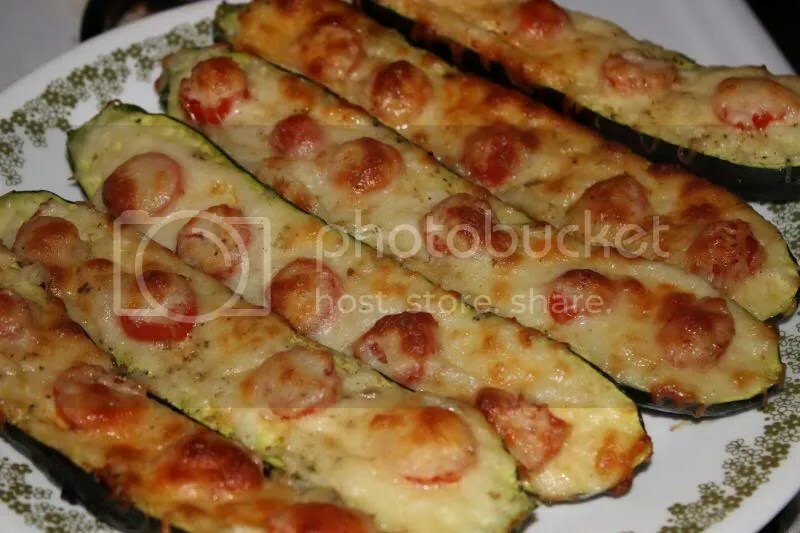 I came across a recipe for this on Facebook that called to bake the zucchini. Our brilliant ever changing weather in the Chicagoland area had us a few really hot days. I absolutely did not want to turn on the oven but I wanted to try this recipe. So I decided to try it on the grill! Zucchini is a great veg for summer and eating healthy! It makes an amazing bread and goes great with tomatoes. So if you are in the mood for pizza but don’t want the extra carbs and grease try this out. Start out by slicing your Zucchini in half long ways. Brush each half with olive oil. Salt and pepper to taste and sprinkle with a good amount of garlic powder. slice the grape tomatoes into disks and put a few slices on each zucchini half. Cover each half with cheese, as much or as little as you like. sprinkle with oregano. heat your grill. focus your heat on one side of the grill. You don’t want the skin of the zucchini to burn. brush the low or no heat side with olive oil and place the zucchini halves on that side. They will stay level if you place them between the grate lines on the grill. Don’t let them tip or the cheese will slide right off during cooking. Close the grill and allow to cook 25-30 mins. check on them every 5 mins or so to make sure they are cooking evenly. Rotate them every 10 min. so the ones closer to the flame don’t burn. 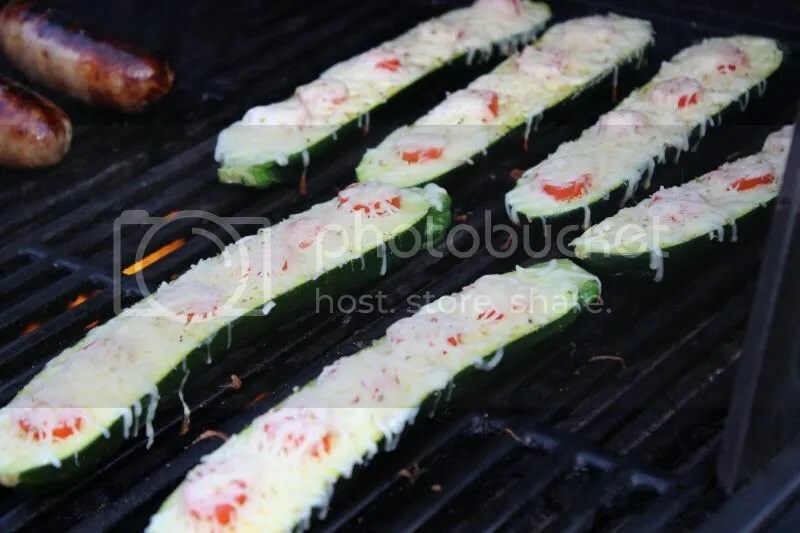 Once the cheese is nice and golden and the zucchini is tender they are ready to come off. You can enjoy them as a side or as a main dish for lunch or light dinner. I hope you enjoy! I would love to hear any comments or trial and error! Also if you added a different ingredient and how it came out!